The Louisville Bats' 2019 regular season schedule has been announced. The season begins with a seven-game road trip at Toledo on April 4, the first time the Bats have began a season away from home since 2016. Louisville's home opener will come a week later, on Thursday, April 11 against the Gwinnett Stripers at 7 p.m.
Louisville will once again host 70 home games during 2019 season, highlighted by Thunder Over Louisville (Saturday, April 13), Mother's Day (Sunday, May 12), Father's Day (Sunday, June 16), Independence Day Eve Fireworks (Wednesday, July 3), along with many more new and exciting promotions that will be announced at a later date! The 2019 season will mark the Bats' 20th season at Louisville Slugger Field and as the Triple-A Affiliate for the Cincinnati Reds. 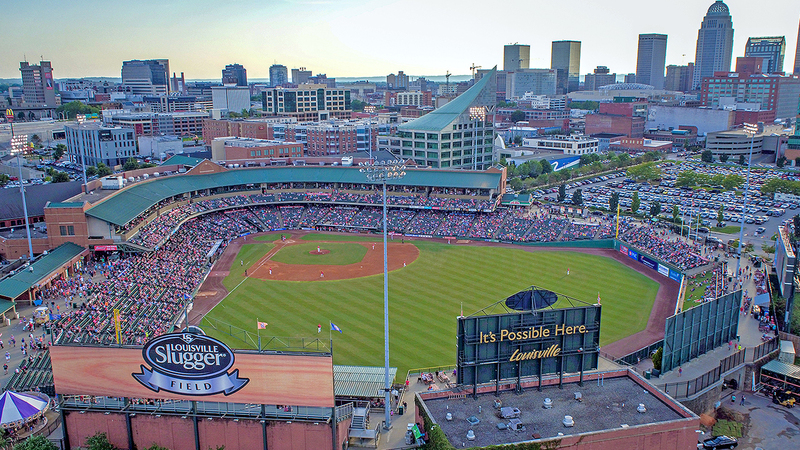 Since 1999, the Bats have drawn over 10 million fans to Louisville Slugger Field. In 2018, the Bats set an all-time single-game attendance record on Saturday, April 21, welcoming 14,658 fans. Individual game tickets for the 2019 season will go on sale starting Friday, March 1 at 10 AM. For more information on the Bats, visit batsbaseball.com or contact the Louisville Bats Front Office at (502) 212-2287.